James Bailey from Z3News.com posted a terrific podcast where he discussed some of the prophecies from himself and others. In particular, Karissa Washburn’s 2012 dream caught my attention. 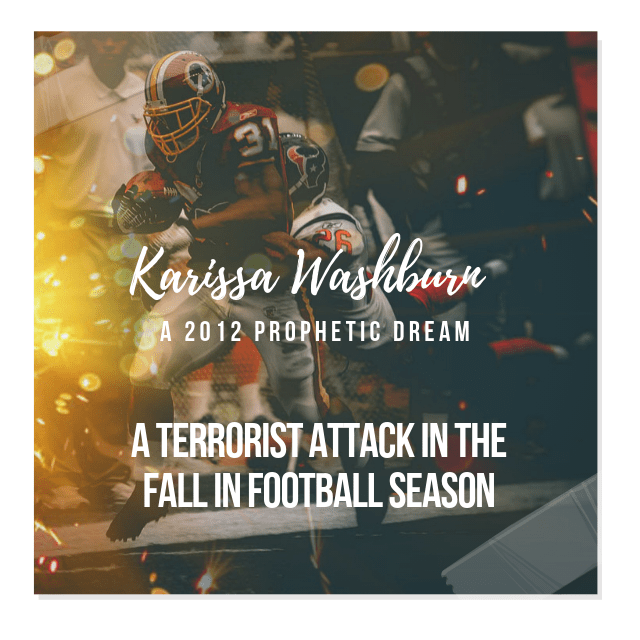 Her dream brings to light a future terrorist attack that is to happen around the fall time frame, which brings in elements of the Thanksgiving holiday and the football season. Accurate prophets like John Paul Jackson and many others have talked about judgement coming down on the NFL. In fact the late John Paul Jackson was given a series of prophetic headlines which were to start in 2018. One of the headlines was “NFL postpones all games until answer found”. You can watch that video on youtube. Last year I had been watching the time frame before Christmas, but around Thanksgiving for these prophecies concerning the football season to come to pass, but it didn’t happen. The late Chuck Youngbrant also was given a lottery number in 2017 as a sign before the California earthquake to happen, which showed up on Thanksgiving day of all days. Is the Lord warning us about a future Thanksgiving date? I do not know. Often times SEASONS are mentioned in prophecies rather than years or days. I always try to keep in mind. Patti Young is another voice who sees the time frame of Thanksgiving and Christmas as when an earthquake will hit California. Several prophetic voices have seen a bombing coming to a football stadium. 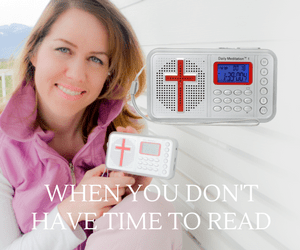 Jan Meador is another who has a prophetic dream about a football stadium and a terrorist attack….and THEN gets a confirmation the next day in an earthquake that hit. I had not even considered a connection of this earthquake and my stadium dream until I saw this photo. When I saw it, it made me sick to my stomach, for I felt that this was what God had shown me the morning before. I felt then that it was not a bomb that caused the people in the stadium to flee in horror, it was an earthquake. We see two events here again. Football and an earthquake. It is an interesting connection or pattern. Yesterday, I wrote about Jeff Byerly who has had several prophecies about a “kick off” event that the Lord has been warning him about since 2015. He has been told that this one event would be the beginning of many other events to follow. It is interesting that the language is also related to football. In the above video, James Bailey details Krista Washburn’s prophecy where she also sees a football team and an explosion happening in a stadium. This prophecy has 6 parts to the dream. Could it be one event with a number of pieces to it, or could it be 6 events? We do not know. Check out the link above, and the transcript below. Here we see yet another person seeing an event at a football stadium. This is something we need to pray about. In addition he talks about the stock market which also has been in the news lately. You will find all these puzzle pieces interesting! Do you see any additional connections here? The next prophetic revelation I want to share is a dream received by Krista Washburn. She received this on May 21, 2012. So it’s been over six years ago. She wasn’t given the year of when this event would happen. But she was shown that it would be during football season and it would be around the Thanksgiving holiday. Now in her dream, she was shown six scenes one after the other. And so I’m going to read what she wrote back in 2012. She says she received the dream around 5:36am in the morning. It was very disturbing. I felt a great deal of sorrow and morning when I woke up, it was very heavy. It was a series of six scenes back to back it made me very sad. In the first scene, she sees a family sitting at a dinner table, the mom, dad and a baby and a high chair and then two small children, and they’re enjoying their meal. But then suddenly, a bomb is placed down in the middle of the table. But the family continues eating and completely ignores this bomb, which she says was round and about the size of a basketball. And at first, the mother and father slightly glimpsed at it, but then they ignored it. The children actually started drawing on it with crayons. The parents continued interacting with their children, and they were all laughing. But then suddenly the bomb started ticking, and the ticking became more intense louder and faster. Then they’re eating slowed down and the parents looked at each other. And fear in the ticking stopped and the parents grabbed each other’s hands and held on to their children. And then the bomb exploded. That’s the end of seen one. In the second scene she saw men out in the yard, throwing a baseball. They were playing a game of baseball together, it wasn’t professional baseball was just like a bunch of family members together, playing ball. In the middle of throwing the ball, it changed to a grenade, like a grenade was thrown into the game, and the regular game ball fell by the side. So then she saw the men noticing that the baseball had turned into a grenade. They looked at it, but they didn’t pay attention to it….. Just continued their game and started throwing the grenade around that then it exploded. And that was the end of that scene. And the third scene, she sees men running down the football field toward the goal. She sees people in the stands cheering. She said it was a professional football game. And they were running toward the goal, when suddenly a large missile came flying through the air skidded into the dirt and dug in right beside the goal. But she said, no one paid any attention to it being there because they were so engrossed with the amazing play in the game. The crowd was standing and cheering, and she saw a couple of the players running past the missile, which was halfway buried into the dirt, but they just kept running by and they scored their touchdown. Then the missile exploded. Now she said, an interesting note was that the team was wearing a dark red color. And she said she thought she saw something gold. Well, one team that wears dark red with yellow gold light color is the Washington Redskins. A another as the San Francisco 40 Niners. That was the end of that scene. The fourth scene, she sees children playing on a school playground, a fence around the entire perimeter of the school. But then suddenly, she sees men dressed in long white gowns and white hair dresses start coming out of the woods around this around the school grounds. She saw other men getting out of their cars. They all made their way to the fence and surrounded the school, the teachers on the playground, watch these men gathering and they had a look of uncertainty and worry, but they didn’t say anything. They didn’t do anything about it. They just stood there and watched as the children continued to play. Then it seemed like there was a echoing sound heard in all at once in unison. All these men jumped over the fence, pulled machetes from the gowns and began their terror. She says, I do not want to write what I saw. And that’s the end of the fourth scene. In the next scene (5th) . She sees men and women who looked very ashen and thin, walking toward what looked like a bank, they walked up to the bank, and they put their money through a slog, but it looked like a deposit slot. These people seem sad and lifeless, and part of the bank became transparent. So Clarissa was able to see inside the bank and she saw it was totally destroyed on the inside. And there was nothing there. It looked like a bomb had gone off inside the bank. It was a bottomless pit, there was nothing, no floor, she saw people putting their money into the slop at the money just floated down into this bottomless pit. That was the end of the fifth scene. Now, in the final scene (6th) , she’s using her hand to scrape away a thin layer of ice from a window so she could peer through it. And after she cleans the window, she looks through, she sees a large city with smoke coming from its buildings. And she says, In the dream, she, she felt great sorrow. And she remember saying, “My America, my America”, then she woke up, and she immediately felt a great sense of sorrow, and morning for our nation. She said, she asked the Lord, when will these things happen, she felt so frightened. She says, I don’t want this to happen to us. She said, she felt like the Lord was telling her go back and look at each scene again. And so she did. And when she did, she noticed details that she hadn’t thought about, like, for instance, in scene one the family members sitting at the table, they were all wearing sweaters. And she noticed on their plates was cranberry sauce. She saw the flowers on the table, they were not spring or summer flowers, they were dark in color, it looked more like fall flowers. So there you have a timing indicator that ties this event and to the fall time of the year when the weather is cooler. And specifically, cranberry sauce is something that American people eat during the Thanksgiving holidays. And she thought about the second scene in in that scene, men were throwing a baseball outside, but they were all wearing jackets again. So again, you see this theme of cooler weather. Next, she considered the third scene about the football game. And again, she noticed in the crowd, the people were wearing coats, some of them had on scarfs, and there was even a light drizzle of snow that was dissipating on the ground. She saw the breath of the players as they were playing. So there you have a clue. Not only is it football season, but most likely the second half of the season when the weather is colder. Next, she considered the fourth scene where she saw children at the playground. And she noticed again, the children were dressed warmly with heavy jackets. The gowns that she saw these men wearing at the fence were blowing heavily in the wind. So there was a very strong wind and cold weather. Another important clue in that scene is that these men were wearing gowns, they were wearing head dresses, and they were carrying machetes. All those are clues as to the identity of who these men were. Because what she described did not fit the description of the typical American man. We don’t typically wear gowns or head dresses were carry machetes. But all three of those are a perfect description of Muslim men from Middle Eastern nations, the same group that has been responsible for over 90% of all terrorist acts since 1970. Now, that’s a statistic you’ll never hear in the mainstream news media. But you can look it up yourself. Because on Wikipedia, they have a record of every terrorist act since the 1970s. And you can go through because they give some details about each event. And I did that and I went through and separated the ones that were carried out by Muslims from those that were not. And I tallied it up and found over 90% are committed by Muslims. Now, we all recall what happened to the United States when we were attacked on September 11, 2001. And there was the connection with Islamic men flying planes into buildings. And now here we are getting warnings about a plan. And this dream involves Muslim men attacking innocent children. That’s actually another characteristic trait that fits the behavior of Islamic terrorists. They like to attack innocent people who cannot fight back. So this attack with machetes on children fits the description perfectly. Now, in the fifth scene…..she recalled the people walking up to the bank were wearing coats and jackets. So again, confirming the timing was happening during cold weather, and the bank was destroyed on the inside. It was like a bottomless pit like a bomb had gone off inside the bank. Now, this I think, is another clue to the event that she’s learned about that it’s not just a tragic event involving potentially the loss of human lives as these bombs are exploding, but it impacts the banking system, it impacts the economy and that’s where I’m seeing the connection between what she got and what I’ve been getting. And that was the end of her dream.